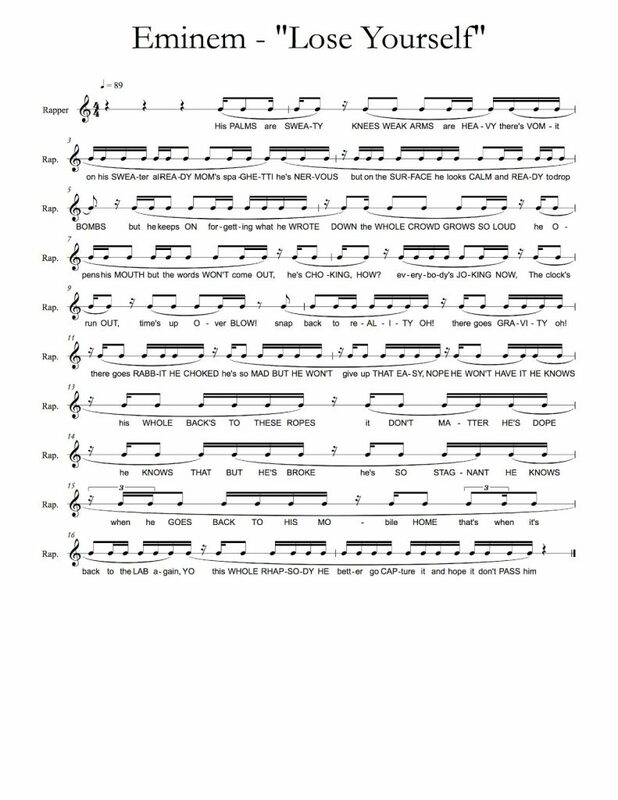 Below are the notated rap rhythms from Eminem’s song called “Lose Yourself”, from the “8 Mile” movie soundtrack. ohh! nice one. This track is one of my favorite. I use to hear it even in my car.